Activa Circulation Chrono is formulated to act very quickly to restore better circulatory comfort due to prolonged-release, that’s 8 hours of action! 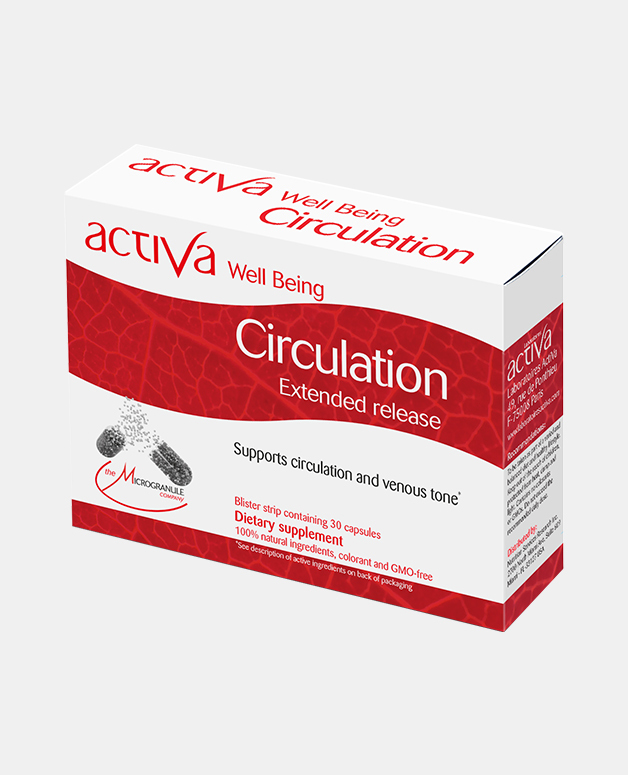 Its efficacy lies in the synergistic action of 4 plants recognised as acting on multiple levels in stimulating the circulatory system: better venous return, integrity of capillary and venous walls, reduces swelling and antioxidant protection. This product has been developed using the concept of Phytovitality, a patented technology based on Microgranules that protects 96% of plants active ingredients for targeted release. 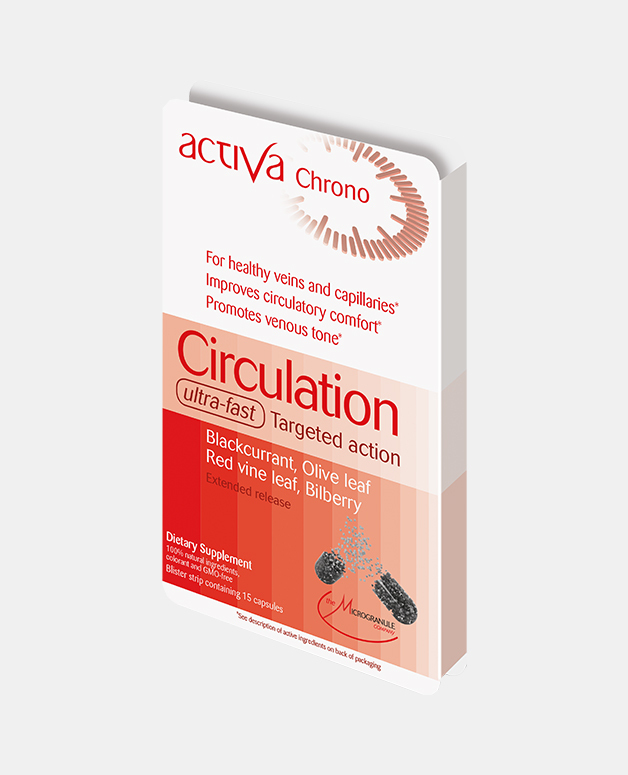 Blackcurrant berries: have antioxidant and draining properties. 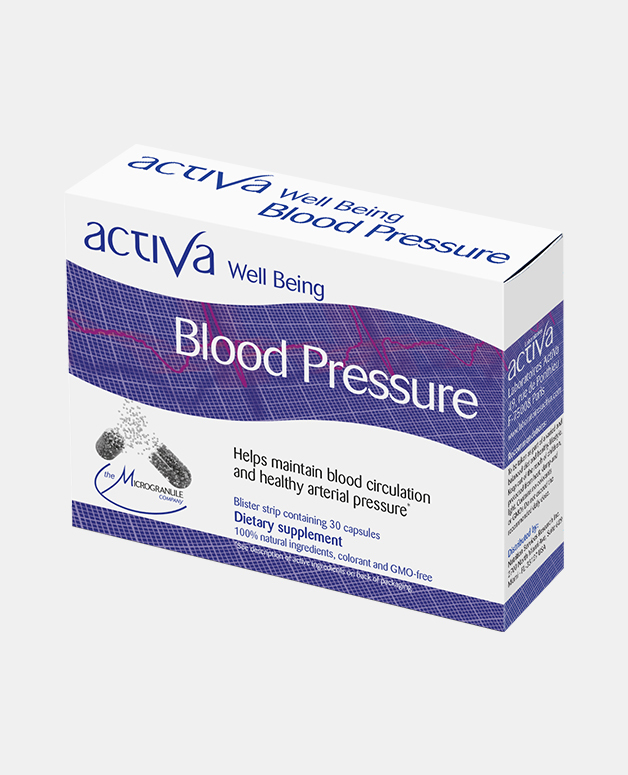 Olive tree: is traditionally recognised for its benefits for blood pressure and diuretic activity. 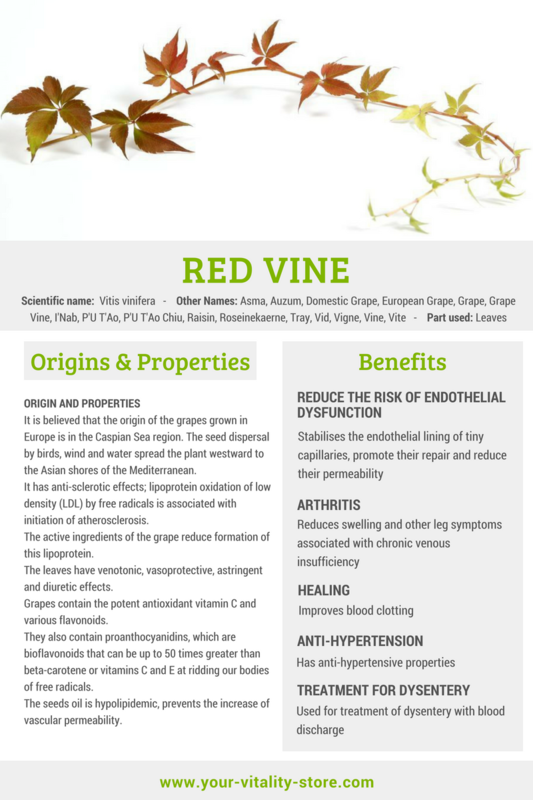 Red vine: has a beneficial action on circulation and capillary fragility. Blueberries: supports capillary strength and maintains microcirculation.